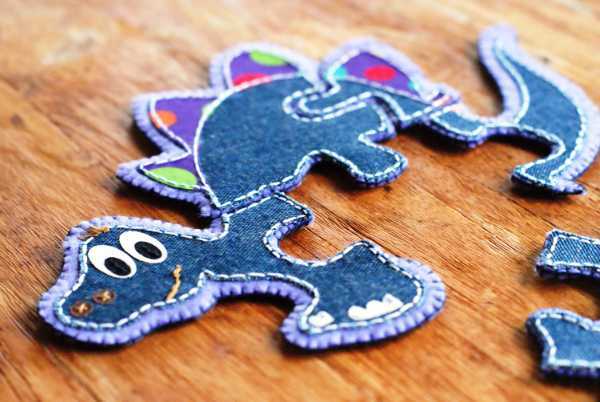 You’ve got to love quiet-time toys, particularly ones as adorable as this! 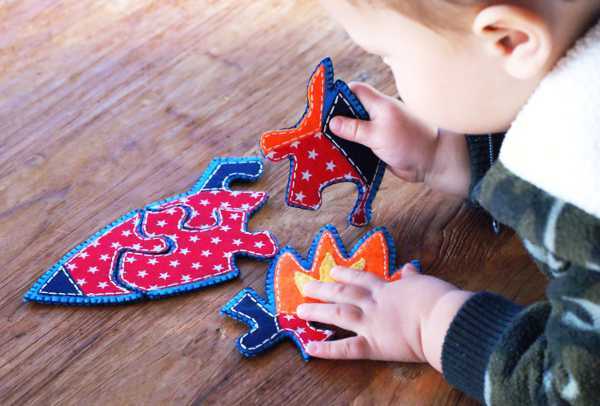 Once kids get a taste for puzzles, they become a bit of an addiction (at least they have for my son!). They love the sense of achievement in completing a picture, and it’s great to watch them be entertained by something that’s silent and requires patience. 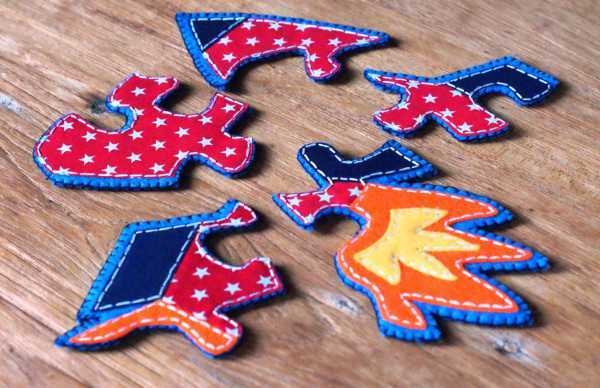 These handmade fabric puzzles add another element – texture, which makes them great for smaller children. 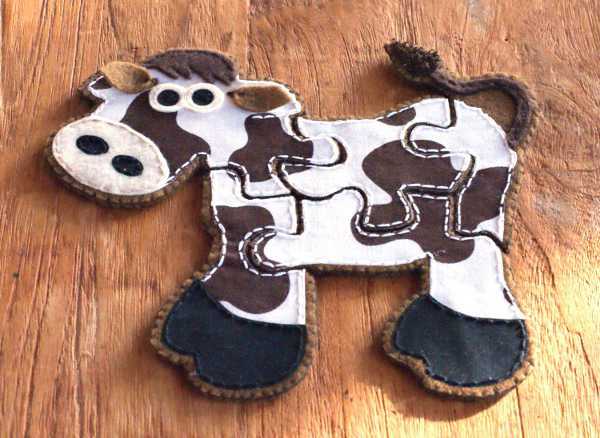 The Fabric Cow Puzzle is the creation of The Happy Red Dog on Etsy, and comes with five hand stitched puzzle pieces. The size is perfect for little hands, at twenty-three by twenty-three centimetres from hoof to tail to nose. The cow also comes in a bag, which can be personalised with a child’s name, and costs $40. There are a couple of other variations, including a dinosaur and rocketship, also $40. The puzzles are available directly from The Happy Red Dog.